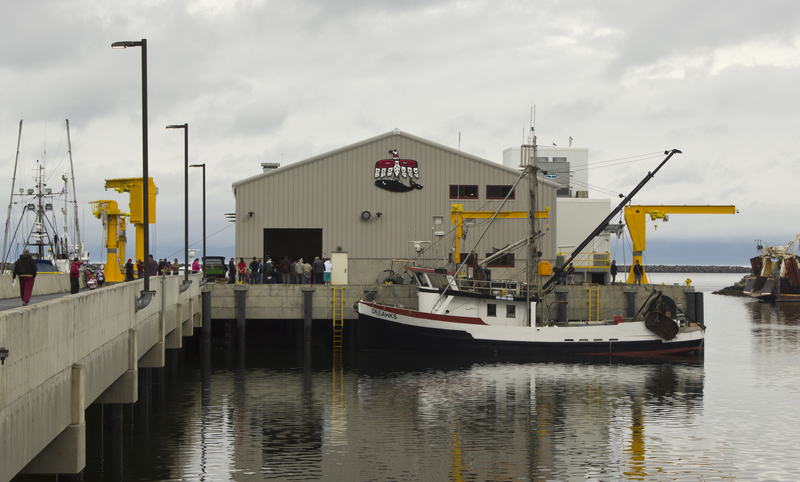 The Makah Tribe in Neah Bay survives on fish. They are located in the Northwestern most corner of Washington State and 50% of their economy is derived from fishing. In 2013, the existing commercial dock suffered a catastrophic failure when the causeway collapsed under the weight of a forklift, rendering it off-limits to motorized equipment for ice and fish loading. Planning and construction on a new $13.8 million dollar dock began almost immediately. The project was financed with multiple sources, including a $1 million grant from the US Economic Development Agency, Tribal Funds and New Markets Tax Credits brought to the project by NDC and Wells Fargo. The project moved quickly and took only 9 months to complete, thanks to the quick action of the Tribe and its development partners. The result is a brand new facility that will be used by over 90 different small businesses, mostly minority-owned fishing operations, who depend on this dock for their livelihood. Those businesses employ more than 400 full time employees. Tribal members depend on the revenue form the dock. Approximately $7-10 million worth of fish cross the dock every year. The State of Washington also depends on the dock to launch emergency vessel rescue and spill response operations in the area.